Where to find Storage Rentals in the UK? When you are wondering where to find storage rentals in the UK, you can always rely on our expertise here at Lok’nStore. We have many storage facilities across the UK, primarily in the South of England. 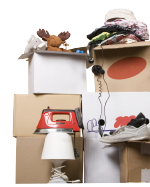 Our storage facilities are modern and easy to use. Whatever Lok’nStore location you use for your commercial or domestic storage, you can guarantee your items and storage space is secured and easily accessible to you. We are always cheaper than any other storage company in your area. We can guarantee this because we research the latest prices and ensure that our self-storage quotes are the cheapest. Along with this research, we are always offering amazing deals – the latest being our 50% off storage for new reservations. We have over 7,000 customers who utilise our secure and stress free self-storage facilities. Our sites all use 24-hour security systems too, so there's truly nothing for you to worry about. Our Lok'nStore storage solutions are currently available in Poole, Bristol, Crawley, Aldershot, Eastbourne, Swindon, Luton, Milton Keynes and many more locations. Not sure what storage space you need? We have an online storage estimator to help you!